As I am wrapping up my experience with the EDC MOOC, and considering how it will affect the way I approach blended MOOCs in the future (and I do intend to try this again), I have been thinking about the role that the teacher plays in such a course. It’s been a question that I have been considering since before the EDC MOOC even began. 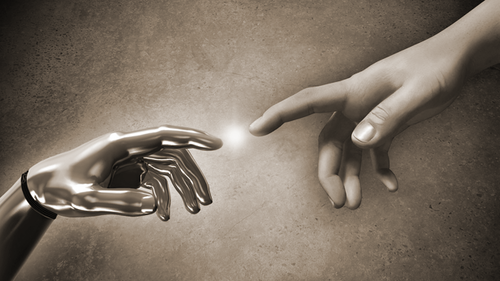 - Is the current digital dominance over humans reinforced by digital education? Quick reminder: I’m using the EDC MOOC as part of a longer, onground college class. 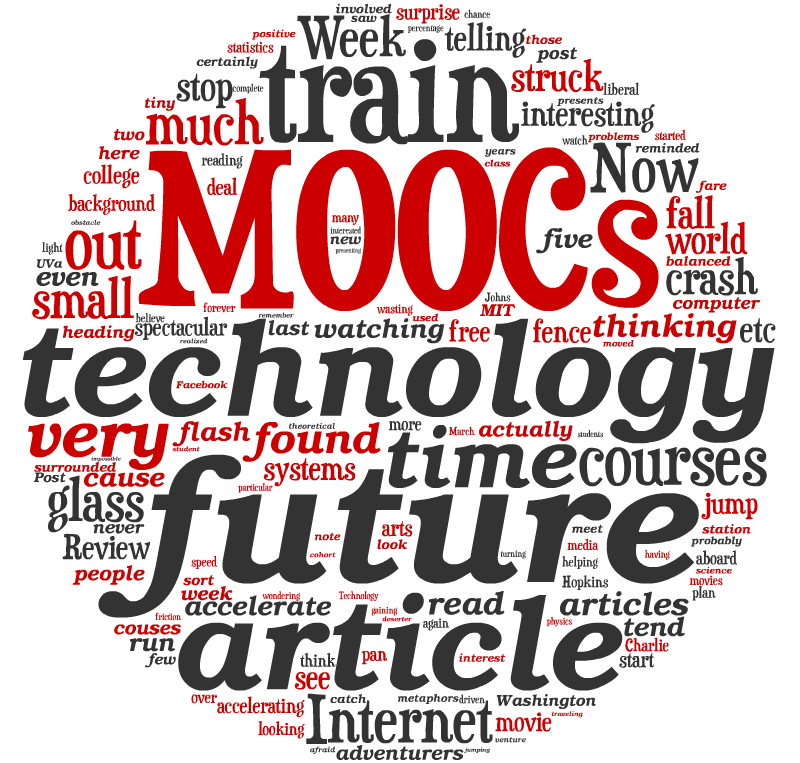 I have been writing about how my students are responding to the MOOC. It’s already 2nd week of EDCMOOC, generically titled “Looking to the Future”. We’ve been watching a few audiovisual pieces about technological evolution and a close near future, and I’ve been really struck by “Sight”, a short futuristic film, related to “Black Mirror”, british TV series that were mentioned in my last post. The problem of promotion of technology exclusively as a positive metaphor can already be experienced in the present: there is a tendency to embrace technology in schools founded on the assumption of effectiveness of technology for learning and not on objective results. From a superficial perspective, if this trend continues in the future we could face a problematic situation of displacement of already effective learning tools and strategies. As I discussed in my last post, I am teaching a blended or hybrid MOOC, where I use the #EDCMOOC as material for an onground course on Writing for the Web. Because the onground course requires a discussion of values, the MOOC topics fit well, and build on issues that we have been discussing all semester in the class. ‘#edcmooc’ for the ones who are interested in e-learning and digital cultures ! Are you interested in e-learning? I’m finally getting around to posting my first thoughts on what’s happening in the #EDCMOOC. Last Monday I started out the course, “E-Learning and Digital Cultures”, an interesting Mooc from Edinburgh University, that explores the connections between education, learning and digital cultures. 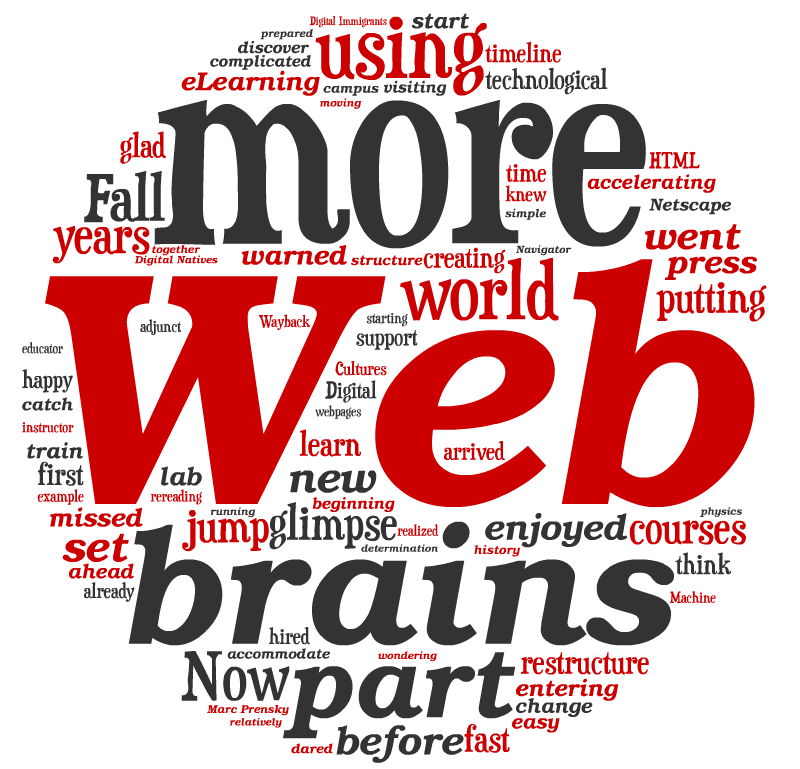 I chose Tagul to create word clouds from my weekly posts about the eLearning and Digital Cultures course offered on Coursera by the University of Edinburgh in January 2013. 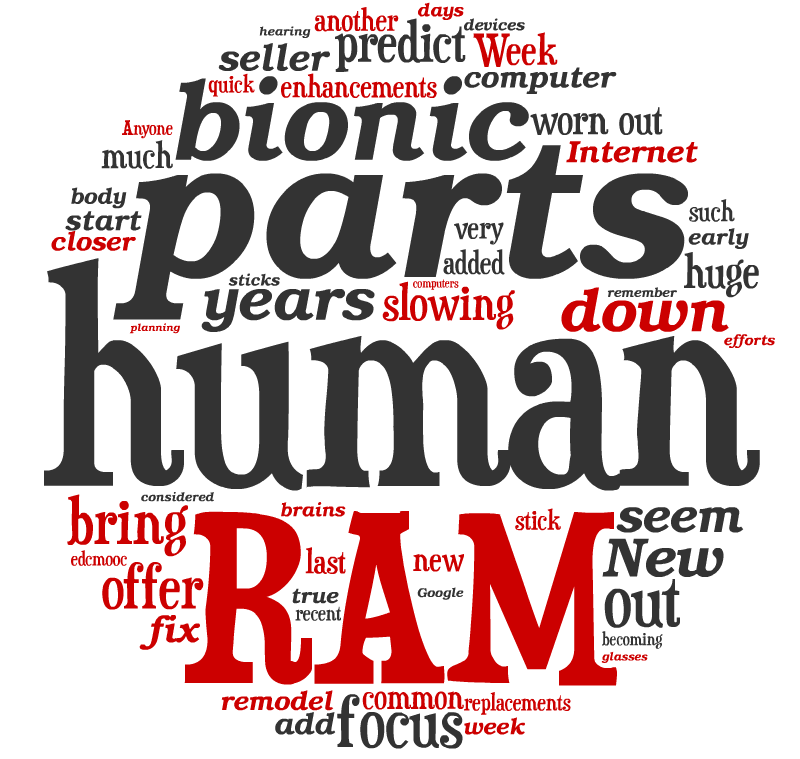 Week 4 #edcmooc | I would like to add some more RAM to my brain! 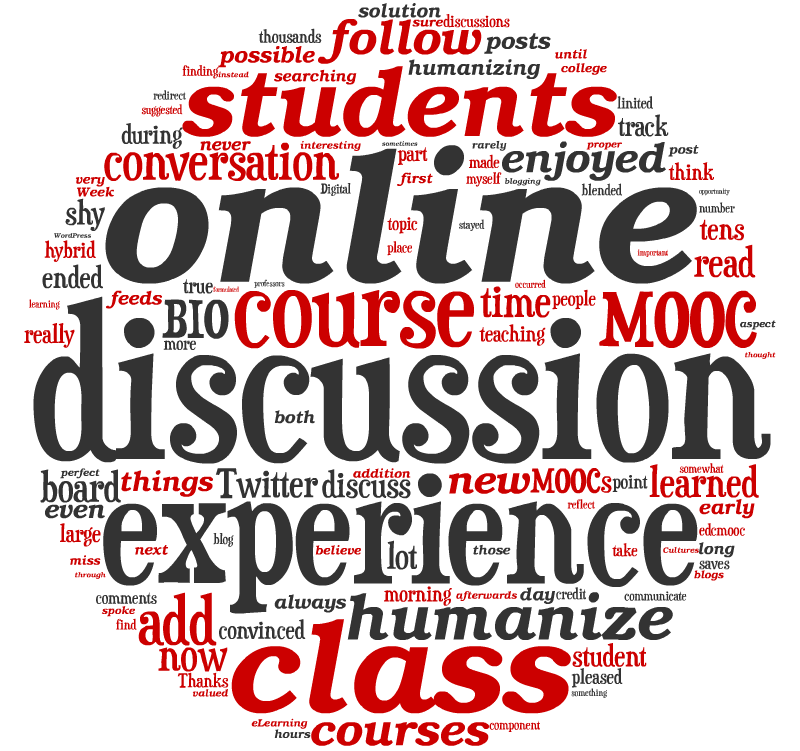 Week 3 #edcmooc | Do MOOC’s humanize online courses? I viewed this movie as a simulation for the patient rather than for the man. 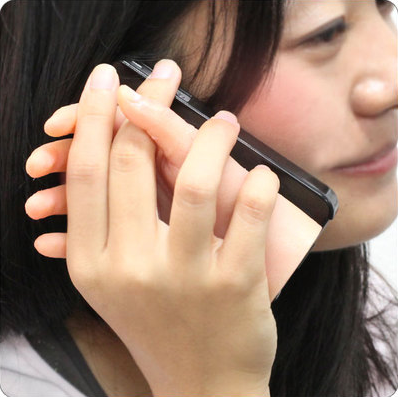 It left me with more questions than anything. Since we’ve been exploring the future of education / ed reform in #edcmooc, I thought I’d share something my IB Theory of Knowledge students participated in last semester, as we examined the Nature of Knowledge / Learning, and the History of “Schooling”. 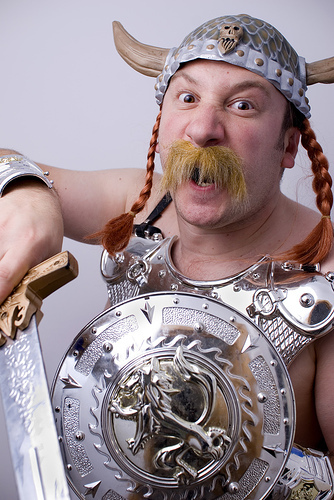 Week 2 #edcmooc | Will we be buried in a sparkling mound of glass shards? In week two of E-learning and Digital cultures we move from the past towards the future. My Interactive Image using Thinglink (and Picmonkey to create the collage). I’m now at the point where I’ve viewed the first week’s films and posted about Thursday (note to self: keep looking out the window at my ‘amazing view’!!) and have downloaded the course reading. Week 1 #edcmooc – utopia or dystopia?